Michael Che just broke a color barrier at “Saturday Night Live.” NBC announced Tuesday that Che was promoted to a head writer’s position, making him the first black person to have that title in the 43 seasons of the comedy sketch show, according to reports. Colin Jost, Che’s partner on “Weekend Update” and these days also known as Scarlett Johansson’s boyfriend, was also named a co-head writer ― a return to a post he held from 2012 to 2015. 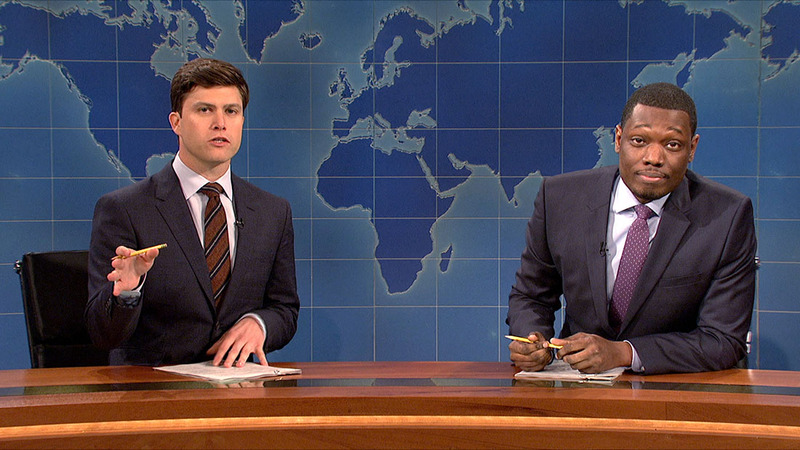 “SNL’s” current head writers, Bryan Tucker and Kent Sublette, will remain in their roles. Che was a correspondent on “The Daily Show” before joining “SNL” in 2013. The Manhattan native has been named among Rolling Stone’s 50 Funniest People, BuzzFeed’s 50 Hottest Men in Comedy and Variety’s Top 10 Comics to Watch, according to his “SNL” bio. With Che’s help, “Saturday Night Live” continues to pull in strong ratings. This season is the second most-watched in nearly a decade, behind last year.